I am glad you took some time to search caption for your best friend. 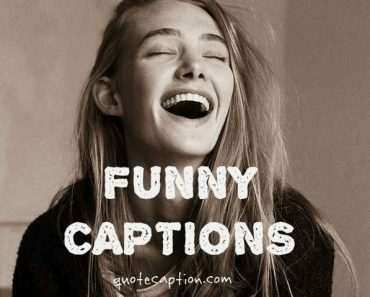 Make your friend feel special with our insane best friends captions collection. Let them know they are special to you. In this article, we will share some short best friends captions that you can add in your Instagram stories & photos. Hope the list will be interesting for you. As this is a generalized post for all we have added random captions. 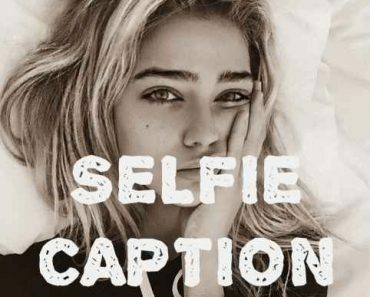 You can chose the best captions for your best friends depending on their personality. A best friend is someone who knows all your best and worst and still choose to be with you. One best and precious gift that one could get form god is, best friends. When we are friends, it means you are my responsibility and I am yours. When my best friend is taking leave without any intimation, I feel like I am the last person in the earth. Best friends’ logic: If you don’t like someone, then I too don’t like that person. I can even live without phones, internet, and social media but not without my friends. Hey you! If you mess with my best friend, remember you are in great danger. My friends are like starts, they may not with me all the time, but they will be always there for me. I think my best friend have some supernatural powers. As he/she always knows what exactly I’m going through. Having a best friend like you is like having a sister. May be not by blood but we choose to be family. There is no such category called good friends or bad friends. They are friends no matter what. Every group of friends will have a troublemaker, who will be crazy enough to mess with everything. I would rather choose to be with my best friend instead of being with my girlfriend/boyfriend. When I and my best friends are together, it means stranger things a just waiting to happen. Best friends will never leave you alone, they will be always ready to trouble you and destroy you pleasant atmosphere. I wish to be a kind friend whom you can call at any time no matter what. We are like the two poles of earth, but still we stick together and he/she is my best friend. You must be lucky to have such an innocent friend like me…. Lol…. Me + My Friends = Craziness overloaded. Don’t you dare replace me anybody, I will kill you then. At last I found my non-identical twin brother/sister. Friendship goals: you laugh – I laugh, you cry – I Laugh and make you laugh too. We know that we didn’t do anything productive for the whole day, yet it was fun being with my best friend. I’m so thankful to god, as he didn’t friendship doesn’t come with price tags. If so I couldn’t have got such priceless possession like my friends. With my best friends, even the hell will be a heaven for me. When you have crazy friends, it means you have everything. Best memories are created when you execute any crazy ideas with your best friends. It makes a great deal of bravery and responsibility to stand up on our own friends. No matter where you are, what you doing, whatever the thing, if you need me just ping me and I will be there. Best friends never say good bye. Instead they will say ‘see you soon’. The validity of our friendship never ends. My best friend is like a mirror, to whom I can discuss about anything without any hesitation. Even the worst time will be better if you are with your best friends. Describing my best friend with single word is just like wrapping the whole universe into a little carton. Just remember if we had a situation and we get caught, you are deaf and I don’t speak. Best friends never allow you to do stupid things…. Alone…..
We are friends for ever, this means even after our death we will be ghost friends and scare everyone else. A best friend is someone who will never get tired of you endless speech and dramas. Friends are best therapist. Even a 5 minutes talk can boost you up for the whole day. Best friends will always point at your mistakes, and brings the best in you. To make your life spicier, the most important ingredient to be added is friends. Hard time shows you who your best friends are. Best friends help us to find important things like happiness, hope, and your bravery, when you lost them. My best friends may be just a person for the world, but for me they are my world. A best friend is one who will believe in you even when you refuse to believe in you. I don’t know how my life would be without my best friends, but this sounds horrible. Finding real good friend is really hard, because the best one is already mine. One thing I admire about my best friend is, he/she never left me alone even if we had a fight. Best friends visit your home un-invited and shout ‘I’m home’. 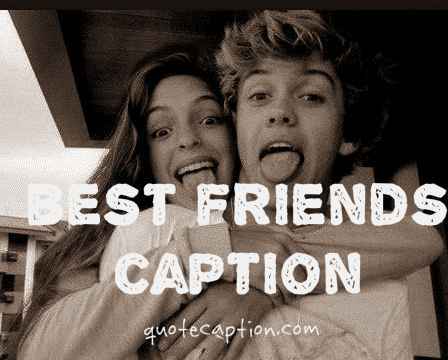 These are some of the unique best friends captions for instagram. Hope you liked our list. Share this post with your mates using the buttons given below.